ECCEROBOTs skeleton is very detailed replicate of the human model, consisting of bones and joints formed out of polymorph. 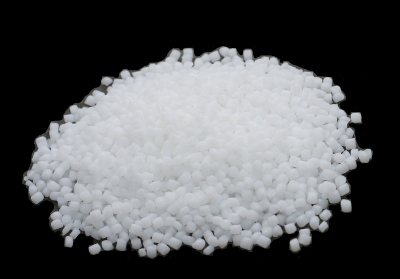 The thermoplastic polymorph (a caprolactone polymer) is polythene-like in many ways, but when heated to only 60°C it fuses (or softens, when already fused) and can be freely hand moulded for quite some time. It has a distinctly bone-like appearance when cold and can be reheated and remoulded as many times as necessary. In practical engineering termes, Polymorph is tough and springy. Its tensile strength is good - Polymorph has the highest tensile strength of all the capralactones, at 580 kg/cm2. It can be further strengthened (and stiffened, if necessary) by adding other materials, such as wire, or metal rods and bars. Figure: Polymorph granulate before heating. Figure: Fused polymorph after heating.